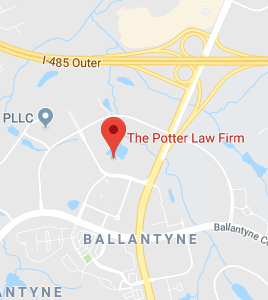 As you can see from our website, the attorneys at The Potter Law Firm are highly committed to educating their clients and the residents of Independence, as well as the state of Kentucky. We offer a comprehensive electronic library of special reports covering numerous estate planning and elder law issues. We also update our blog regularly in order to provide updates on the ever-changing laws in this field. Finally, our free estate planning and elder law seminars are always a go-to source for information. Basically, it is our desire that residents of Independence and all of Kentucky stay informed. Below, you will find several links to useful resources for senior residents. The Independence Senior and Community Center. The Independence Senior and Community Center has served the residents of Independence, KY and Southern Kenton County since 2002. Located next to the Independence Fire Station, the Center offers a safe and enjoyable location for seniors to meet and socialize. Membership is open to seniors 50 years and older for an annual fee of $15. The Kentucky Cabinet for Health and Family Services is an important resource for Seniors. It serves as the home to most of the state’s human services and health care programs, including Medicaid, the Department for Community Based Services and the Department for Public Health. The Cabinet is one of the largest agencies in the state of Kentucky, with nearly 8,000 full and part-time employees. Some of the services provided for seniors by the Cabinet include adult day care, home care, and the Kentucky Prescription Assistance Program. The Kentucky Cabinet for Health and Family Services also provides Alzheimer’s Respite, a program of supervision and care for individuals with Alzheimer’s disease or related dementia. This service provides temporary relief from caregiving duties. How Can an Independence Elder Law Attorney Help You? Elder law attorneys receive training and knowledge in the relevant legal issues that seniors regularly face, which makes them better able to understand and meet the needs of their elder clients and their families. Elder law attorneys are also proficient at anticipating potential problems facing seniors. Basically, the practice of elder law requires legal advocacy, education, counseling, and future planning. If you have questions regarding elder law matters, please contact the experienced attorneys at The Potter Law Firm for a consultation. You can contact us either online or by calling us at (859) 372-6655 (Florence, KY and the Independence, KY area) or at (606) 324-5516 (Ashland, KY) or for individuals in North Carolina at (704) 944-3245 (Charlotte, NC or Huntersville, NC).